An exciting World War II adventure from acclaimed author Ally Sherrick - blending her trademark rip-roaring historical storytelling with mythology and magic!It's World War II and Britain is on the brink of invasion. Londoner George has been sent to live in the countryside while his brother and guardian, Charlie, trains to be a pilot - but he's very far from safe. 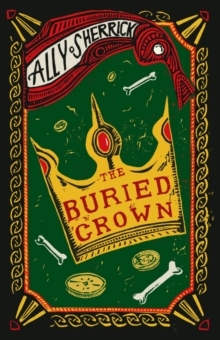 An ancient burial ground nearby contains a priceless treasure, a magical Anglo-Saxon crown Hitler is desperate to possess.